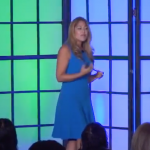 Dr. Aura Tovar has created the “Get Naked” principle to help you succeed in any situation. First, accept your current situation. Second, reflect on your experience and learn the lessons it offers. Third, release and let go. Fourth, thrive into the unique person you are meant to become. Commit to the “Get Naked” principle and transcend to new heights! Learn to filter your experiences authentically to gain full understanding of the lessons they offer and reach greater heights in your practice and in your life. After moving from Venezuela to the U.S. in 1988, Dr. Aura set her sights on becoming a Chiropractor after she herself was so positively impacted by the “adjustment.” She went on to graduate from Life University in 1997, and has enjoyed a successful practice in Miami. Dr. Aura has continued the traditions of Life University which aim to educate, enlighten and help others in reaching optimal health. For nearly two decades, Dr. Aura Tovar has served her community as the owner and family chiropractor of Dynamic Chiropractic Center. As the director of Chiro Mission, Dr. Tovar also serves those in need internationally.